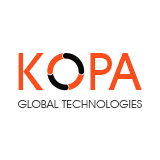 Organization Kopa Global Technologies – Leading Mobile App Development Company in India and United States – Coimbatore, India. Leading Mobile App Development Company in India and United States. The Kopa Global Technologies is a Leading "Mobile App Development" Company in India and United States. We are 50+ team size and 3+ locations .We specialize in software product development, digital marketing, eCommerce managed services to help you achieve your business goals. Restaurant Ordering System - Start your restaurant business with all-in-one Online Food Ordering System. Get your own online ordering system & branded mobile apps with 100% Source Code. Multi Vendor Marketplace Software - Build your own multi vendor marketplace platform with our ready eCommerce multi vendor shopping cart software script. 100% Source Code & Get a FREE Quote. Mobile App Development - Create smart, affordable, iPhone & Android mobile applications and cross platform mobile app development that is compatible across several devices,that suits any sized industry. Web Application Development - Build your custom web application, Web design services, HTML5 Applications at affordable cost. eCommerce Services - Build your custom eCommerce platforms that helps to set up your own online shopping cart platform for your business requirements.